It connects all my environments together in a smart, efficient way. However, they could make the pricing cheaper. It's in our transit VPC and transit router. We use it as a way to connect multiple environments together and also our third-party vendors together. So, it is a VPN. I now have ease of flexibility, ease of use, and most importantly, convenience. Before, creating a new account (a new VPC) in AWS, we would have to establish VPN tunnels with on-premise, which was a huge process. It would take a least a month or so to finish everything. You have to work with a different team to do on-premise connections, since I am not responsible for on-premise. With Cisco CSR, all I have to do is have one transit VPC, one VPN, then everything else goes to that transit VPC. So I never have to worry about getting in touch with security again. I can have as many accounts as I want, which now take about a day to set up. You don't have to do anything now. A new account comes up, link in the action, download it to the account, and you are set. Feature-wise, Cisco is easy to configure. I know the command line. Therefore, it's easy for me to program it the way I want, and it's just a convenient tool. It's robust, and it works. The bandwidth and throughput are pretty good. My oldest firewall is about 12 years old, and it still works. So, that's why I trust Cisco. Cost is a big factor. We would like to see the price reduced. My last Cisco router was 12 years old. So, it is stable. It is definitely scalable. It can handle a lot more traffic and group work compared to any other products that I've evaluated. It could easily scale a lot more than what I'm doing right now. I have about 12 environments going through the CSR and about 4 vendors. I could easily double that. We are a huge consumer of Cisco products. We have about ten routers and firewalls with more than 30 odd switches. So, it's a huge infrastructure. The implementation and configuration with AWS was straightforward and simple. They could make it a little cheaper. It is a lot of money. It's almost $25,000 USD a year if I buy directly from AWS Marketplace, and we need at least two of them. We would prefer to go through the vendor instead of AWS, as we have a relationship with the vendor and can get discounts directly from them. Going through the vendor, it is much cheaper for us. Though, we would still keep it hosted on AWS. The purchasing process through the AWS Marketplace is simple and easy. All I had to do was click a button, and it got the evaluation started. Then, when the evaluation was about to end, I received emails. It was directly billed to my router account. I didn't actually do anything at that point. We went through the AWS Marketplace because when this whole project started I was searching for options. I had used Cisco CSR in the past, but I was still searching for something cheaper. With the AWS marketplace, I just searched for VPN solutions and IPsec, and Cisco CSR received a couple of the top hits. So, it was just click a button and easy to deploy from the AWS Marketplace. We evaluated Fortinet, SRX, and Palo Alto. We also looked at Openswan, which is an open source. I chose Cisco because I am more familiar with it. I have a lot of certificates in Cisco, so I'm more comfortable with Cisco. I was the one implementing it, so we went with Cisco. We used the other Cisco product, Cisco ASA. It's almost the same thing. It's an on-premise firewall versus a cloud firewall. * If it's a small environment, I would not pay for a CSR. It's too expensive. Go for something cheaper. * If it's a bigger environment and you will eventually scale out, then definitely go with a CSR. It will be sustainable, scalable, and definitely stable. The product serves me purpose. It connects all my environments together in a smart, efficient way. Gateway communication for IoT activities is our primary use case. We were looking for a stable mobility solution. It provides us with highly secure, reliable, and easy-to-manage 3G/4G LTE WAN cellular and wireless LAN connectivity for mobile environments. It has delivered high-speed secure VPN services with High Availability, strong firewall protection, Application Visibility and Control, and more. This AMI runs Cisco IOS XE technology features (ASR 1000 and ISR 4000 series) and uses AWS instances with a direct I/O path for higher and consistent performance, as well as 2x performance with IMIX packets. Also, in terms of integration and configuration of the product in our AWS environment, it has 1700/2100 MHz (Band 4 AWS) frequencies. Cisco should improve on the operation due to a clock signal component failure. I would also like to see better security, where there are more access controls and data confidentiality. It is a stable solution. I have put high workloads on it and it has been very stable. For my environment it is a good solution. The pricing is good for what it offers. It integrates with multiple solutions but I have only tried it with AWS solutions. It provides peace of mind because it is a stable product that you aren't going to lose sleep over at night wondering if it will be running or not. It is an all-inclusive solution. I would like the ability to moderate between devices on-premise to off-premise. This would be a vast improvement. In the next release, I would like them to add the ability to track a security feature to track the various IPs that come in. In AWS, the size of my environment is relatively small at the moment. I only have 45 VMs. Our experiences with their technical support have been positive. The integration and configuration of the product in our AWS environment was mostly straightforward. It is sort of like insurance. You hope you never have to use it. We pay a premium, hoping that the service never goes bad on us. Purchasing the product on the AWS Marketplace was very simplistic. Our organization was trying to centralize our billing costs, and simplicity was best. The pricing is fine, though it might have been cheaper going through a partner or doing a direct buy. Cisco has been around for years. It is solid and has one of the most recognized brand names in the world. Our primary use case of this solution is for routing. Cisco has helped improve my organization in the was that it actually helped us to get the communication between on-prem and cloud to become smoother since we got it. The most valuable feature is its routing abilities. My experience with purchasing through AWS Marketplace was pretty smooth. We pay the same license cost as we do for long-term devices. We chose to procure via AWS Marketplace because that's the option we have. If we wanted to price something in AWS on every PC, we would have to go to the Marketplace and buy it. There are different versions available, so this is the version that has the capabilities that we wanted to explore. That's why we use Marketplace. The cost is a little higher at this point in time; but, we'll see how it goes. They have an online registration that happens after they pick up block months. If they could decrease to yearly or something, sometimes the device is not cell phone accessible. That becomes an issue or challenge for us. If that can be improved, that would be really great. We have at least more than 60 CSRs deployed and the scale works well. Scalability has not been an issue. The technical support from Cisco is good. I would rate them at least a nine out of ten, if not ten out of ten. We chose Cisco because the license cost is not that high and it's easy to consume on AWS. It gives access to so many variables that can be used, and even again, on Prime we're using the same one. I would like to see them have an offline license. The moment you instant ship a device the license never goes off unless you destroy the device in the cloud. Integration has been pretty smooth. We're still exploring some automation capabilities to configure. Cisco doesn't have it in-house; but, we're trying to make it ourselves. It integrates well with the other products we're using. We have it with multiple windows like Palo Alto, Arista and it easily integrated with them. We also looked at Arista alongside Cisco. We didn't end up choosing them because of the cost of the license, the bandwidth, and the support to different routing protocols. Considering what we have on-prem we wanted to match that and we started deploying it in the cloud. I would rate this solution an eight and not a ten: first, because we don't have automation available in-house and they give us the ability to deploy it on the cloud. Second, because of the license issue that we had with it. Other than that, everything is perfect. We use it to create a transit VPC within multiple AWS accounts. It allowed us to create a more secure VPN than we would have been able to do without it. It is supported by Amazon. They had documentation on how to set it up. It was supported by Amazon, so if I had problems, I could get help from Cisco or Amazon. It is too complex. It is not easy to set up, even with the documentation that they provided. It is a little confusing. I would like a GUI interface. The command line is not very straightforward, especially if you don't use it every day. Scalability is very good, as long as you are paying for the licensing to support it. The size of our environment is about 400 servers and 300 users. If we needed technical support, we would call Cisco and ask for assistance. The integration and configuration were complex. It was not easy to set up. We had to use a lot of Cisco's help. It is not being used with anything else. It is its own standalone thing. It just makes our lives a little easier. The cost needs improvement. It is very expensive through the AWS Marketplace. Purchasing through the AWS Marketplace was easy; click a button and you have it. Our organization saw it was in Cisco's documentation, and that is how we set it up. The primary use case is routing ingress traffic to various VPCs. The stability and history that it has working successfully on AWS. Also, AWS highly recommends this product. The ease of use within the AWS environment needs to improve. Sometimes, it is very esoteric in how you use it. Therefore, you have to learn to use it, then you are able to. It handles stress very well. We have not reached a point of needing to worry about its capabilities. The product scales very well. The size of our environment is three VPCs and about 30 EC2 instances. Our contacts within Cisco were available for us for technical support, so that has work out fine. Purchasing it through the AWS Marketplace was very simple. We went through the AWS Marketplace because it was the easiest way to get the product up and running very quickly. The price is a little high, more than what we wanted to pay. This is one area where we would like to understanding how the price could be brought down a bit more. This product is highly recommended by AWS, so we did not consider other products. It offers exactly we need. It was easy to get up and running. The support was available when we needed it. Ultimately, it is just a very expensive product. Make sure you scale at the right level that you are at for the products that you need, including this one. We use the AWS and on-premise versions of the product. They compare very well. The AWS version offers quite a bit of functionality. Luckily, we have had team members who are familiar with the CSR on-premise version and are able to use that on the AWS version. It has worked out very well for us. We have been trying to establish VPN connections between retail locations on our AWS VPC. This has not been very reliable from our experience. The deployment was pretty quick, so the AWS Marketplace options are very helpful. We are also very familiar with SCO OS and are able to bring those skills and commands into Cisco CSR, which made logical sense for us to use it. It has the Dynamic Multipoint VPN solution, which is the number one thing that we wanted. I would like some deployment examples and guides specific to AWS VPCs and how to separate your subnets. Then, how they tie-in with the Internet gateway and any NAT services that we are running on our VPC. This would be extremely helpful. Thus, a lot more detail around deployments would go a long ways towards easing customers' fears. It seems pretty stable. We have never had any issues with it. The reliability issues that we had were with the VPN tunnels working correctly. However, with the router, we didn't seem to have much trouble with it, just the connectivity. It scales vertically, but it just costs a lot more. With the on-premise, they are pushing their newer services routers so they have the same function as the cloud service routers do. However, because the price points are so high, they will rate limit your interface to bring the price down. Therefore, it is the same model that they are already doing in the cloud, but they are now moving that model into on-premise. The technical support was okay. The product was fairly new at the Amazon store at that point in time, so the first tech was not very familiar with it. However, they were able to pass it off to somebody else who was able to help me. The integration and configuration to the AWS environment was difficult. We had to make sure that we had the right subnets lined up and the Internet gateway was mapped correctly. Then, we had all the routes for the router to get out to the Internet and to map all those connections back in successfully. This took a long time. Things which we could do on-premise very quickly took a while for us to figure out how to do with the Cisco Cloud Service Router. The should make the Dynamic Multipoint VPN solution more affordable. Right now, at 10MB or 20MB, it makes a lot of sense. However, at 100MB, it doesn't scale well and the price goes up significantly. We found purchasing through the AWS Marketplace was a good, easy experience. We chose to go through the AWS Marketplace for easy of purchasing. We are still looking at alternatives. We are looking at Palo Alto as an alternative and using their IPSec tunnels. We have familiarity with the Cisco operating system, which is why we chose CSR. We have been using Cisco products forever. The product has value. I recommend having a partner who has integrated it before and can bring that expertise to the table. Just because your good with the physical appliances doesn't mean you will be able to exactly translate that into the Amazon networking world. We have a couple hundred other Cisco routers, but this is the only virtual one that we have tried. The AWS version seems to be a lot less reliable, and we had a lot of issues with the initial configuration. Due to the nature of running workloads in the cloud and needing networking in the cloud, there is no choice but to use cloud routers. We use it to connect different accounts with different weaknesses and also with the on-premise data center. It connects all the accounts with the weaknesses, and this is what we were looking for. Also, it connects with the on-premise side. It does the job, but it's not cloud native. It could be even better, like having a single pane of glass and being less expensive. However, the product works. We work with the Amazon team for support, not Cisco. We are neither happy nor unhappy with the support. It could be better. I am missing a single pane of glass, where I can see all the connections, etc. The Amazon team helped us implement the product. It was a good experience. It work now. Purchasing through the AWS Marketplace was easy. It was almost a one-click process to purchase CSR. The product is too expensive on the AWS Marketplace. We looked at Aviatrix, but then decided to use Cisco CSR. We decided to go with Cisco because it was more known in the network sector than Aviatrix. Also, we have a long time relationship with Cisco. If I could decide now, I think I would go with Aviatrix because it's more cloud native than Cisco CSR. CSR works and does the job, but more in the old way. The connection with everything, it works. However, Aviatrix is more cloud native, so I would get the nice single pane of glass computer. Even the connections, it would be more intricate and easier to use. We have migrate our customers to the cloud along with their on-premise router. Therefore, when migrate their infrastructure to the cloud, we migrate Cisco too. 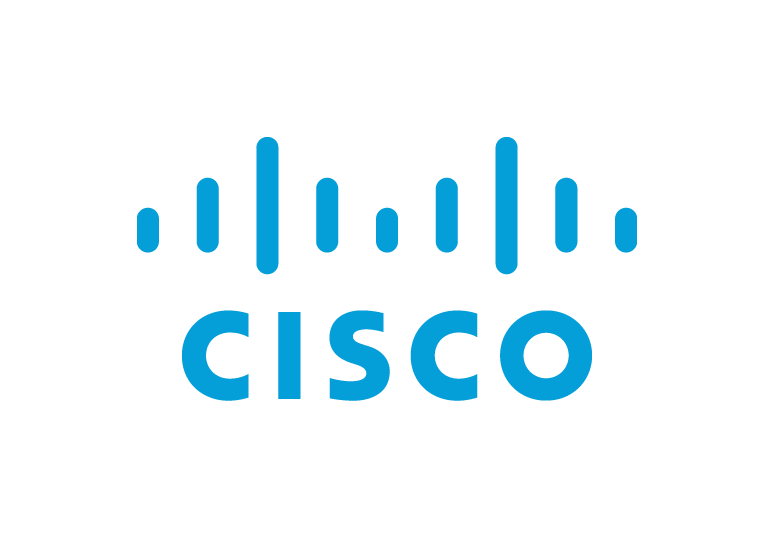 This is our first use case with Cisco migrating a high availability infrastructure. When the customer buys Cisco, they receive security and the capabilities to do many thing with networking, like routing and installation of networks. The most important thing is the security, as it brings assurance. This is the benefit to buying the product. In this use case, AWS has a reference architecture to enable the Cisco routers in high availability and Transit VPC. This is a very powerful router and can enable us to use Transit VPC in AWS, and this is a very powerful feature that we use. In security, it is a good product. The possibility to use on-premise the same protocols as they're using on the cloud. When we want to do a high availability architecture, we have to use AWS features. The Cisco does not give you these features. It could grow or adapt to changes in the cloud. For example, cloud does not support autoscaling. When people want to grow, they have to do manual activities. Cisco is very stable and secure. I have confidence in it. I have never had a problem with Cisco. We have customers who have huge infrastructures, and others with small infrastructures. In terms of size, our customers have around 100 or 200 employees (or connections). Our biggest customer has approximately 3000 employees. The AWS integration into the environment is good. Cisco is very compatible with AWS. The licensing model is good with this appliance: Bring Your Own License (BYOL). We never buy the product on the AWS Marketplace. We only download it. We always use BYOL. We never buy the license in the AWS Marketplace, because it's very expensive. We also evaluate Fortinet with our customers. They generally don't want to change products, which is the main reason for staying with Cisco. I would recommend Cisco. It's a very powerful router and a very important player in the routers of the world. It can provide many solutions that the customer needs. When AWS when offers Transit VPC, they always recommend Cisco. By Walker Hutchinson, DevOps Manager and Enterprise Architect. we use CSR1000v perpetual license using a transit VPC and put heavy traffic through them. we have around 50 VPCs and we can add new VPCs by just adding a tag in the VGW which a lambda reads and creates the tunnel between the VPC and the CSRs. its very easy to mange. we use DMVPN as well. we have used them for YEARS and find it a very valuable assets. we have Transit VPCs on east and West coasts. The other complains make me laugh a bit, its a small thing to learn the new changes and there is plenty enough information to get them setup. There is even a cloudformation scrip that will do it for you, but it wont take any experienced Devops engineer long to figure out how to configure it all through terraform.